Documents show that Vale knew that a possible dam collapse at its mining operation in Brumadinho (MG) would destroy many facilities, including the cafeteria and the office. That's where many employees were when the dam did collapse, on Friday (25th). The information is part of the dam's emergency plan, written on April 18th, 2018. Vale refused to grant Folha access to the document, which had been requested since Monday (28th). The reporters got it through a government agency which had it on file. The collapse was so violent that it destroyed the sirens and alert systems that were supposed to warn the employees so they could escape the premises. The flow of mud also killed the employees responsible for coordinating alerts and employee communication. Until Thursday (31st), authorities counted 110 dead, and 238 disappeared. Because the collapse happened around noon, many victims were eating lunch in the mine's cafeteria, less than a mile away from the dam. Other victims were at a nearby inn, which was cited in the emergency plan as being in the direct route of the flooding. According to security experts, the employees were so close to the collapse site that they would have little chance of escaping even if the sound alert had worked. By law, an emergency plan needs to estimate the damage a dam collapse would case and outline measures to lessen the destruction. 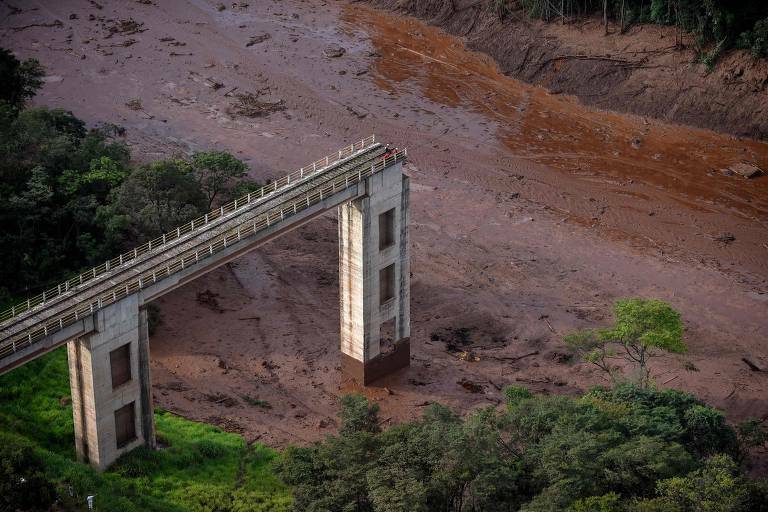 In Brumadinho's case, the plan predicted that the flooded mud would go as far as 40 miles away from the dam. The plan also demanded that "different alert mechanisms would be employed, with the use of sound activations." However, the sirens never went off, as Vale's CEO Fabio Schvartsman admitted on Thursday.